Wash the green leaves and pat them to dry. Wash then the radishes, slice them thin and put them in a bowl. Wash the white currant and let them dry. Cut the bacon in pieces. In a pan, on medium heat roast the bacon, once well done, remove it and keep the remaining fat in the pan. Cut the bread into dices and on medium heat also, roast the bread until golden brown. Once cooked put it aside. 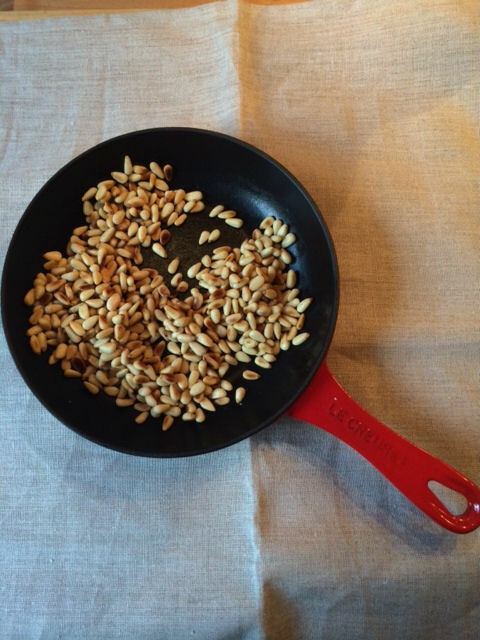 In a different pan, on slow to medium heat, roast the pine seeds with a bit of coconut oil. In a dish, dispose the green leaves and the sprouted broccoli, add the white currants, the bacon and the bread. Top it with the radishes slices and the pine seeds. Prepare the seasoning by mixing 4 table spoon of lemon juice with 6 table spoon of olive oil, half a tea spoon of mustard a pinch of salt and some pepper. 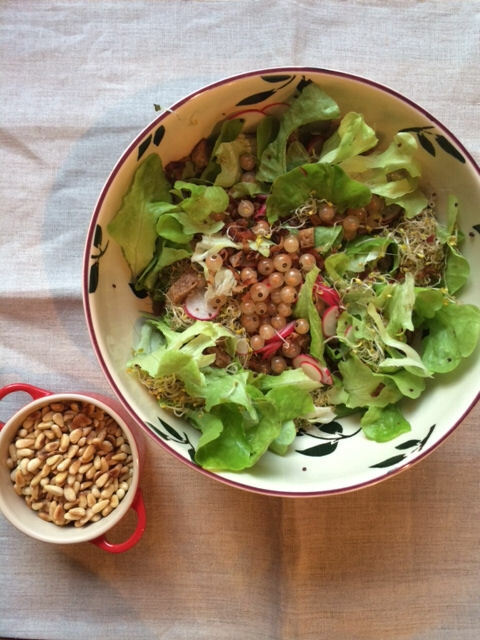 Pour over the salad, adjust to your taste and enjoy.